Thanks for notify us about Ad ID : 253830. 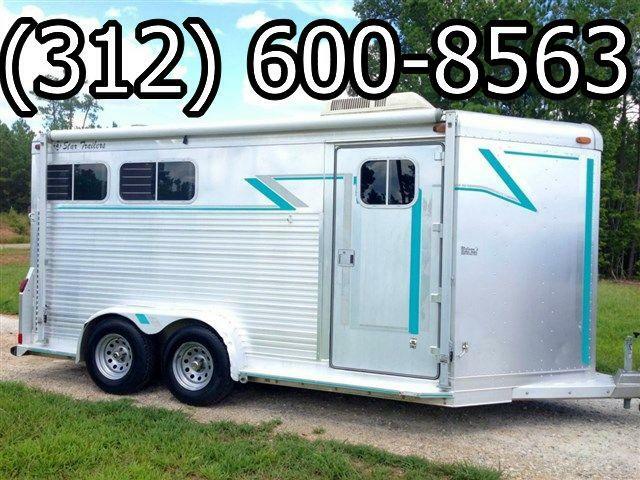 1997 4-Star 2 Horse Slant w/ front Tack/Dressing Room. IN EXCELLENT Condition. No dents. NEW TIRES. Seldom used. 7ft inside height, rubber mats on floor and 1/2 wall. Drop down feed door with windows and drop bars. dome lights in tack and each stall. Many more extras. Signage on trailer is easily removed.